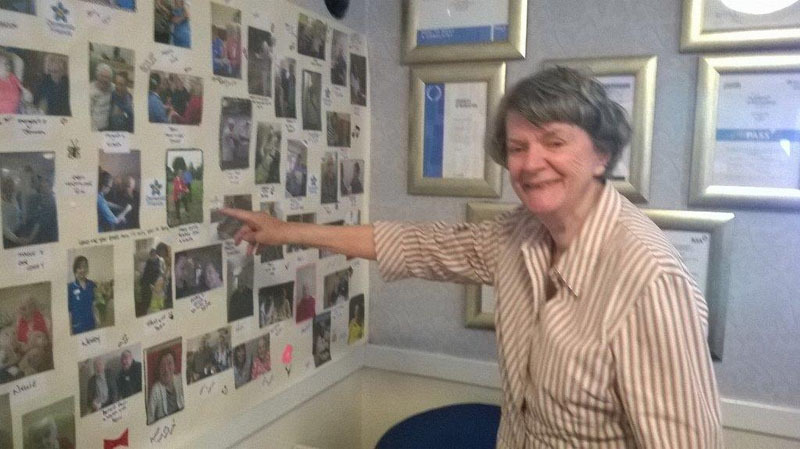 Residents at a Bupa Care Home, in Ayr, were so inspired by a recent dementia awareness campaign they created a tribute wall to celebrate the cherished memories within the home. Staff and residents at Bupa’s Claremont Care Home, in High Thornyflat Wynd, Whitletts, had been motivated by the Dementia Friends campaign – which features a range of celebrities from Chris Martin to Lily Allen who all perform the classic Beatle’s track “With a Little Help from My Friends”. The campaign aims to encourage the public to become a “dementia friend” and support people with the condition. The ‘Dementia Wall’ in the home continues the theme of the campaign and has been created to represent the beauty of friendship and the importance of looking after one another. Lyrics to The Beatle’s song appear on the wall – alongside a collection of sentimental photographs of the residents and staff. The home created the wall filled with pictures and special moments, to represent all the great memories that have been shared. The photos include staff and residents in various locations around the care home. Carol Barr, Manager at Bupa’s Claremont Care Home, wanted the wall to represent the genuine importance of friendships. 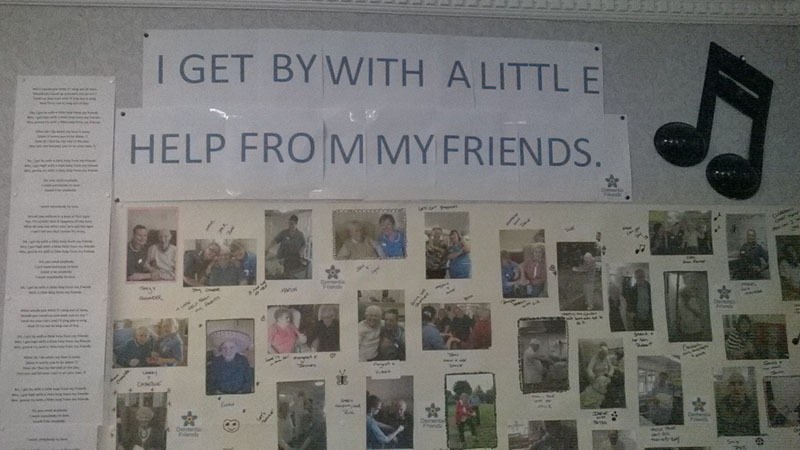 She said: “We were so inspired by the recent Dementia Friends advert that we wanted to create our very own ‘dementia friends’ wall, with pictures of our residents and staff living life to the full. “At Claremont our aim is to create an environment where our residents feel part of a community and feel a sense of belonging. “The Dementia Wall represents the home for what it is, a place filled with genuine friendships and a positive atmosphere. Claremont Care Home provides specialist dementia and nursing care for older people – with all care plans individualised to the needs of each resident and led by a team experienced in various aspects of care. The team are trained in practices such as respite, convalescence and palliative care – and also offer a dementia coach to ensure residents are receiving the best care possible.